Are you frustrated not knowing how to read your office’s cost reports? Want to learn a better way to understand the numbers and the meaning behind them? Do you zone out in meetings because you don’t know what the presenter is saying? Don’t be! Earned Value Management Explained will solve this for you. You can use earned value management to project time and cost of all of these projects. I have created this course with you in mind. I understand that you are very busy with competing interests for your time. You have work and family demands. That’s why Earned Value Management is on demand. You can learn on your own time and at your own pace! You get more! 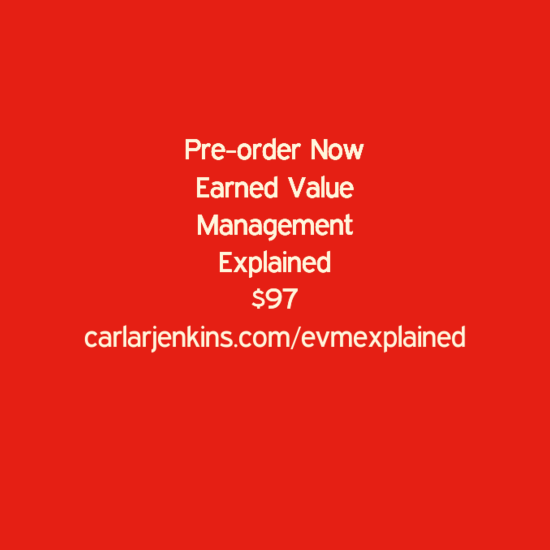 I have included bonus lessons to give you a more well-round understanding of earned value management. I want to make sure that everything that I teach you can apply at work and home. Want to erase the budget report learning curve? Want to not only understand but participate in future office meeting? This pre-order sale will end Friday, April 7, 2017!